Affairs of the Heart - Full Kit 6"
Affairs of the Heart - Full Kit 8"
Dog lovers rejoice! The dogs are out! 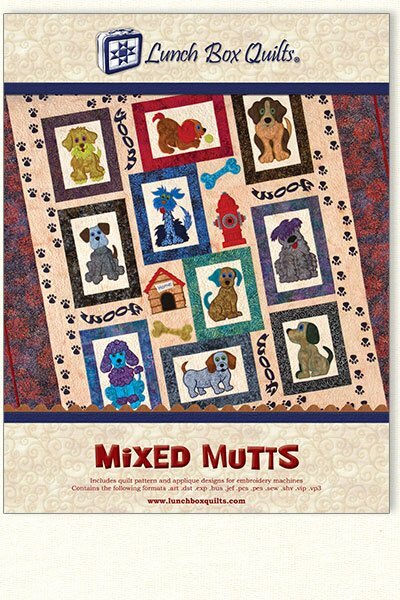 Ten whimsical applique embroidery mixed mutts adorn the quilt. A doghouse, fire hydrant, dog bones and paws complete the quilt. Excellent companion quilt to Cats Meow. 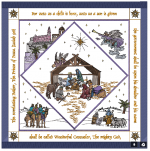 Quilt patterns included to make a 26” X 43” wall hanging or a larger 52” X 59” quilt. Our newest patterns have USB drives instead of the older CD-ROM technology. These USB drives are media storage devices. The USB drives will work directly in most brands and models of embroidery sewing machines. Read more about our USB drives here.